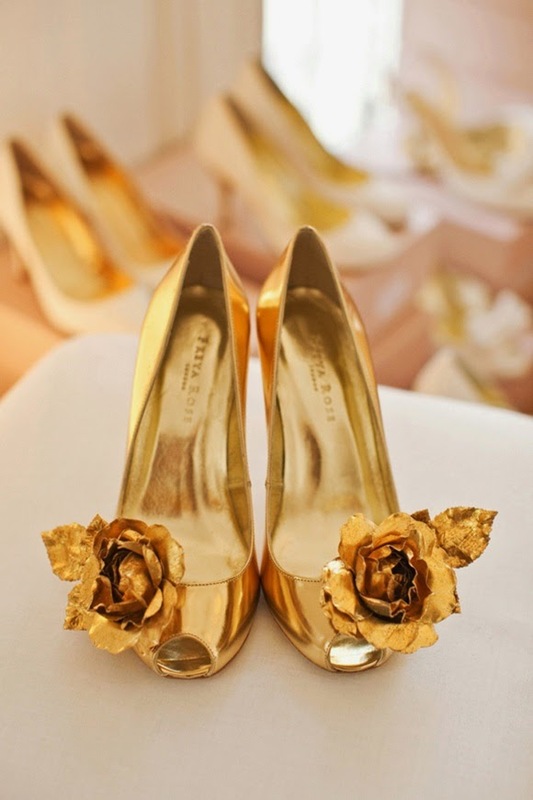 Are you a bride thinking about gold wedding shoes for your wedding? Are you considering them but not sure how they will look with your dress? If so, here are some tips to think through before you decide. Do you like the color gold? Is your dress ivory or cream? Or, does your dress have gold rhinestones on them? If you answered yes to at least one of these things, then gold may be the right color for you. 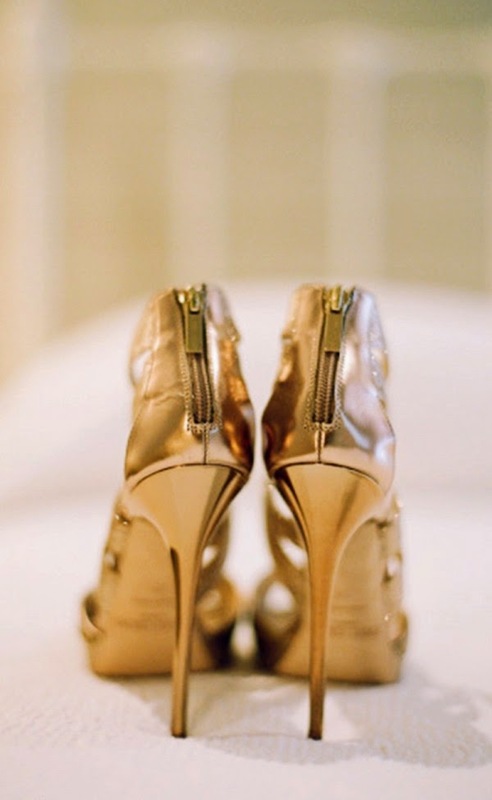 If your answer is no and your dress has silver rhinestones, then you may want to consider silver wedding shoes. The gold has to match your dress and the beading on your dress, otherwise it will look funny. Are you looking for something that sparkles? Or do you want something that is more toned down. Gold comes in both a shinier color and a matte color if you want to stick with it. The sparkle is really pretty and really helps the shoe stand out. Also, depending on the style, it will sparkle differently. For example, if you have strappy shoes, then it will sparkle, but won't be as intense as pumps since the straps are usually thin. Either way, make sure you are comfortable with the sparkle of the gold. Make sure you know what shade of gold you want. Besides being matted or sparkly, gold also comes in many tones. There is a deeper tone that is closer to bronze and a lighter tone that is closer to yellow. The deeper tone is more traditional although the lighter tone can be a little more girly and fun. One tip is to buy 2 different pairs and try them on with your dress. This way, you can see how they accent your feet and your dress at the same time. 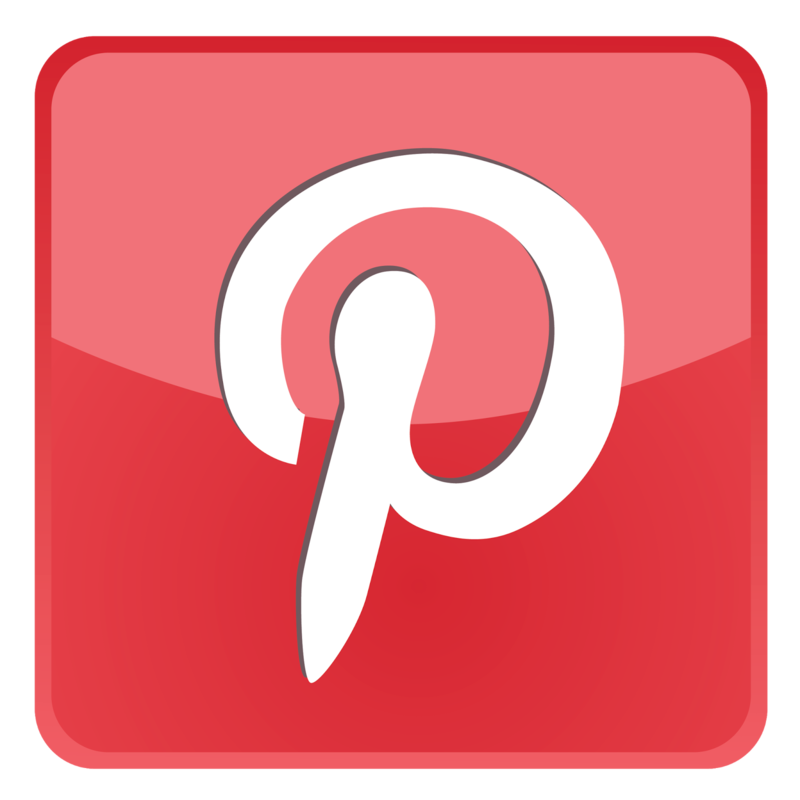 Many women tend to have silver wedding bands and silver engagement rings. If you are one of those women, don't worry. Gold and silver are being paired together by many designers so you won't have a problem if you want to mix the 2. 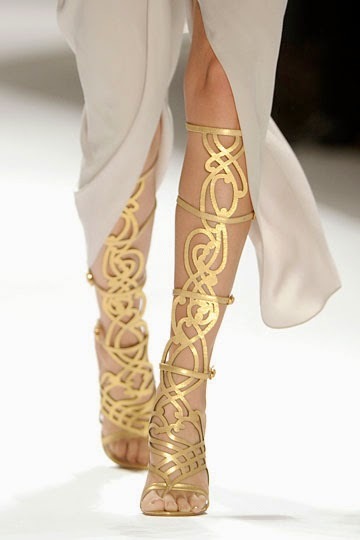 If you do choose gold shoes, try to choose a gold necklace and gold earrings to match. This will make everything more consistent. Gold is actually a very traditional and elegant color. 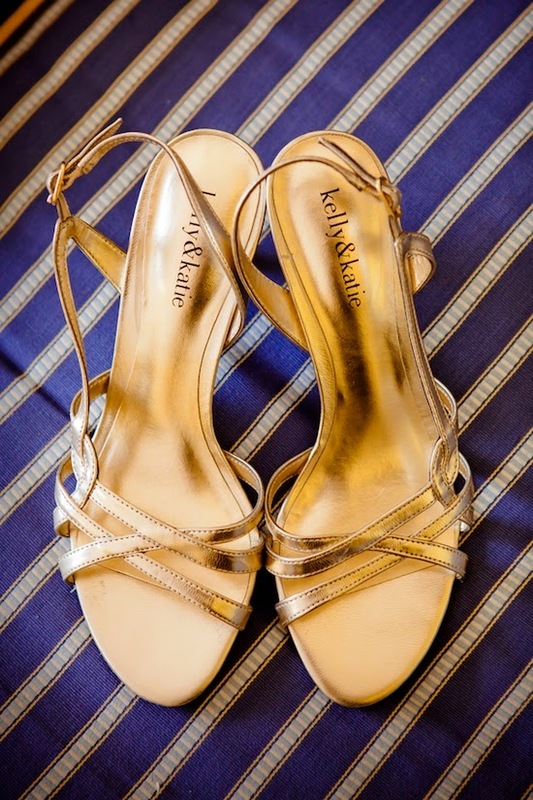 However, make sure you are comfortable with wearing gold wedding shoes since they tend to be a bit more non-traditional than white or ivory wedding shoes. 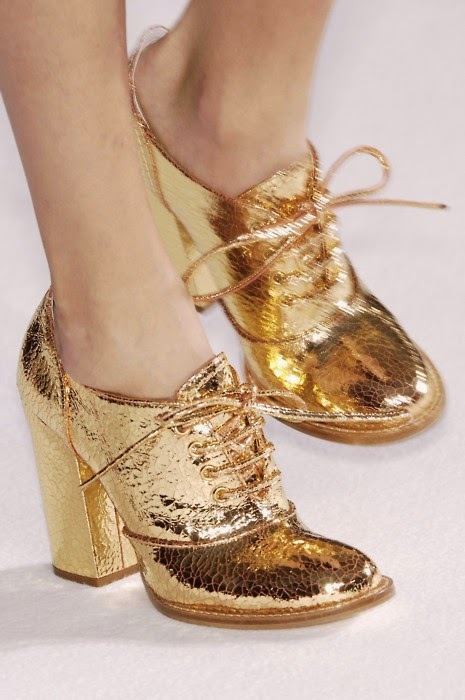 Also, remember, gold shoes will be a lot easier to wear in the future to your Christmas parties or any other cocktail parties that you will be going to.